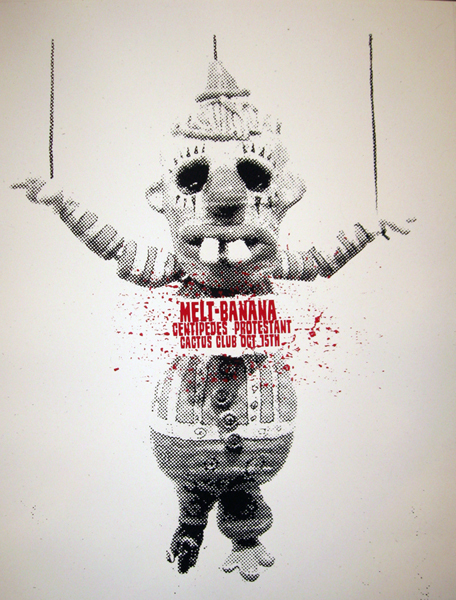 So here we have a poster for Melt Banana at The Cactus Club. 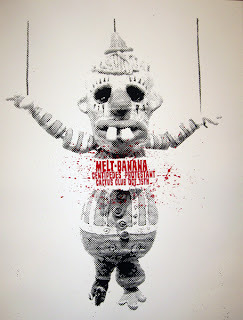 If you have not ever heard Melt Banana. Well you should, they are all over the place musically. But they always put on a great show. So let to the poster. Shall we. After getting the "ok" to do the poster I only had 1 day to design and print the poster. So I wanted a simple 2 color design that fits the band. I was thinking clown, but this happened.